I love soup season! 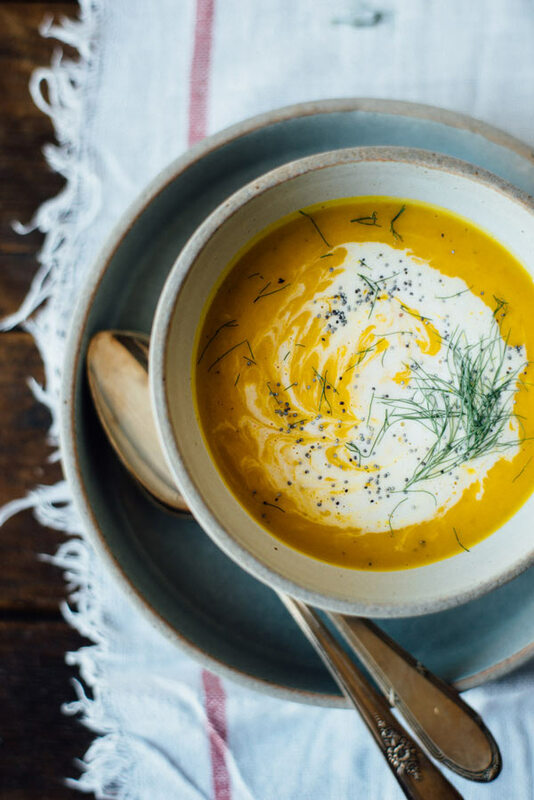 And this kabocha squash, fennel and ginger soup (seen above) look simply amazing! These waffle bites are great idea for a holiday brunch with friends! Another stew from Amy Chaplin that I’m eager to try! There’s something about the holidays that demands pickled vegetables and canned jams, try this family recipe by Naturally Ella! These simple macrobiotic mashed potatoes are a great healthy alternative to your traditional recipe! Beet tartare, yes you read that right! A perfect appetizer for healthy entertaining! These pearl onions are simple and decadent! These baked saffron pancakes served with homemade forest berry jam are MY jam. There’s nothing better than cookies that don’t require baking!!! And last but certainly not least I’ll leave you with this, grilled cheese sandwich, as a garnish. On a cocktail! MIND BLOWN! Neeed to make this soup this weekend. Definitely trying these recipes (and maybe turning the grilled cheese recipe into party-ready mini grilled cheeses on bloody mary shots)?! Great links, Sarah! I’m always torn at Thanksgiving. I want to experiment. But I want classics too (and usually so does my more traditional family!). Guess I have to just make some of each. Yeah for ALL the side dishes! That grill cheese cocktail is MY jam! Amazed and annoyed that I didn’t think of it myself!